High Hazard Classification - Who Makes the Determination? The type of backflow preventer recommended or required at possible cross connections is determined by the hazard level. So who dictates the hazard level for each building type, line type, and possible scenario? That's pretty complicated. What's interesting about water quality is that there is no end-all authority that tells plumbers, civil engineers, and water suppliers everything that is acceptable and everything that isn't. There are a lot of voices in this industry - all of which are trying their best to provide public health and safety - that have a say in this matter and their standards vary. One would think, from the outside, that the EPA would have the final say about which backflow protection device is required when and where. However, their Cross Connection Control manual, which is the only federally distributed manual on the subject, does little to specify what constitutes a high or low hazard. It leaves this decision up to the water distributor by stating in the 2003 edition that, "The supplier of water should have the right of entry to determine degree of hazard and the existence of cross-connections in order to protect the potable water system." So water systems determine hazard, what does that mean for customers across different municipalities? The different backflow devices available basically provide different levels of protection. Low hazards are called pollutants, and do not pose a health hazard while high hazards are considered contaminants and would pose a health hazard. 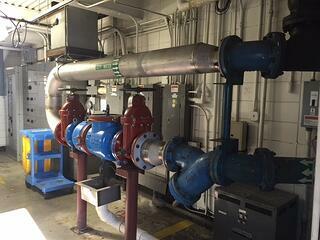 The most commonly referred to backflow devices are double check backflow valves and reduced pressure zone devices. We've written an in depth post explaining the differences between DC and RPZ valves. There are also air gaps, vacuum breakers, anti-siphon fill valves, and dual checks. Each device is best suited for certain applications and types of backflow. Air gaps, atmospheric vacuum breakers, pressure vacuum breakers, and reduced pressure zone valves are all acceptable even for high hazard situations. However, that only applies for back-siphonage backflow. The RP and RPDA are the only devices that should be used when there is a risk of high hazard back-pressure backflow. Back-pressure occurs when the customer's water pressure is higher than the public supply's pressure. This can happen if a customer has various pumps, has elevated piping such as in a high rise building, or uses pressurized containers. The three most common hazards that suppliers are looking for include: line use, building use, and future possibilities. Let's cover all three. Sometimes determining hazard level is as easy as considering what will be present in the line that needs protection. In general, irrigation systems are high hazard and require an RPZ device. Irrigation systems can come into contact with fertilizer, pesticides, and feces. Various types of equipment come with specific risks so certain devices are paired with them based on their hazard level. Beverage dispensers typically have dual checks, dishwashers mostly use atmospheric vacuum breakers, and lavatories are often paired with air gaps. Fire protection lines, on the other hand, get much more complicated. The type of fire protection helps determine hazard, as there are deluge systems, dry pipe systems, and systems using chemical fire retardants. The other main consideration regarding fire sprinkler lines is related to future possibilities. Any building that uses materials which would pose a health threat- contaminants - requires a backflow device suited for high hazards. There are some obvious buildings which come to mind such as chemical plants, manufacturing plants, and oil and gas production warehouses. Additionally, medical buildings including clinics, morgues, and hospitals are high hazard along with restaurants and laundry mats. The list of buildings which could introduce contaminants into the water supply is long. Some of these buildings will do just fine with air gaps or vacuum breakers at individual pieces of equipment. Others will need RPZ valves after the meter for containment backflow prevention. Some engineers would likely recommend both, but containment and isolation is another discussion entirely. 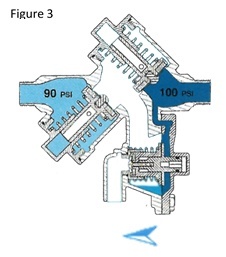 Many buildings, regardless of use, are at risk of back-pressure backflow, and would require an RPZ device. High rise buildings, buildings with sprinkler systems for fire protection, and even boilers and water heaters can cause back-pressure. Through the years, buildings may change tenants or get updated. A clothing store may close and a new restaurant could open up in the same space. That would turn an often low hazard building into a high hazard one. Would the restaurateur know they needed a new backflow device? Would it have been better to plan ahead and provide a higher level of protection in the first place? Handy business owners may alter their piping configurations, add a hose to the end of a sink's spout, or install a new irrigation system. Each scenario could cause a change in hazard or introduce an entirely new cross connection. It's difficult for the public water system staff to guess and anticipate what will happen to each of their thousands of customers' water lines. Therefore, water suppliers must be thinking about the possibilities before the initial backflow protection is chosen and installed. Most fire protection lines only require a low hazard level backflow preventer - a double check detector assembly. However, it is possible that the owner may add fire retardant chemicals without the water suppliers knowledge or they may operate a dry pipe system as a wet pipe system without knowing the risks associated. Since there is no end-all ruling coming down from the EPA and Federal Government, other associations publish their own cross connection control manuals with guidelines and recommendations for analyzing hazard levels. The USC FCCCHR has a manual for sale on their website which is intended to "help those involved in cross-connection control in their efforts." The manual covers a range of topics from hydraulics to standards for backflow prevention assemblies, but also provides guidance on site surveys and the day-to-day duties of a cross-connection control manager. 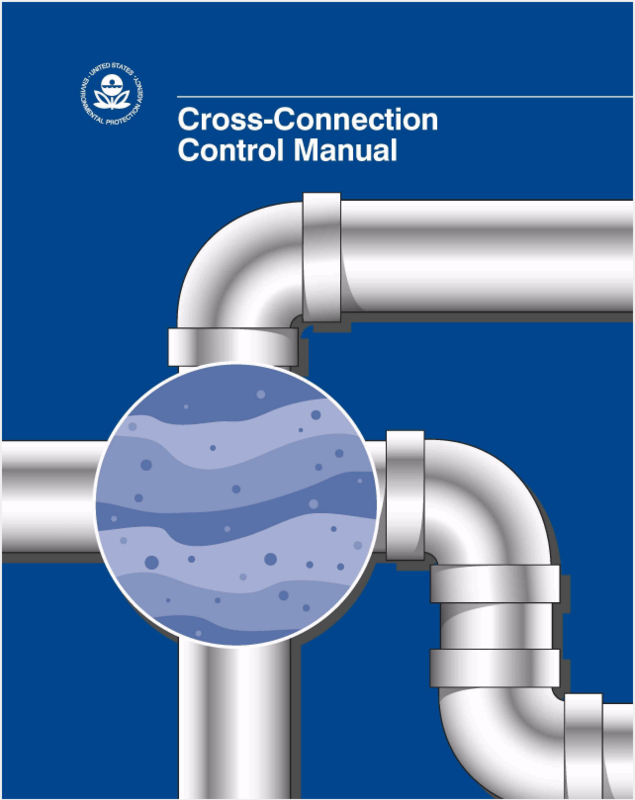 The American Water Works Association also sells a cross connection control manual, most recently published in 2015. It outlines actual and potential cross connections, discusses the different devices available for protection, and gives specific recommendations for lines and buildings regarding hazard levels. Each water district has their own standards for determining hazards. They may follow one of the above mentioned recommendations to a tee, or they may have developed more or less strict rules for their system. These rules are sometimes difficult to find. They are often located online in the municipal code, standard details, or the cross connection control section of a website as is the case with Nashville, TN.